KMSR 1700AM has gone through an upgrade on the 4th of April. 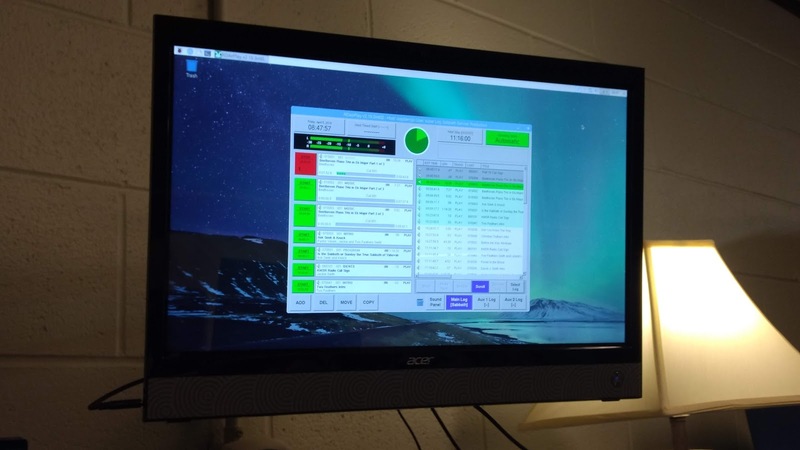 We have replaced the master control on air computer and software with a new computer and software.The old was a PC with Manjaro Linux (Pictured on the far right). 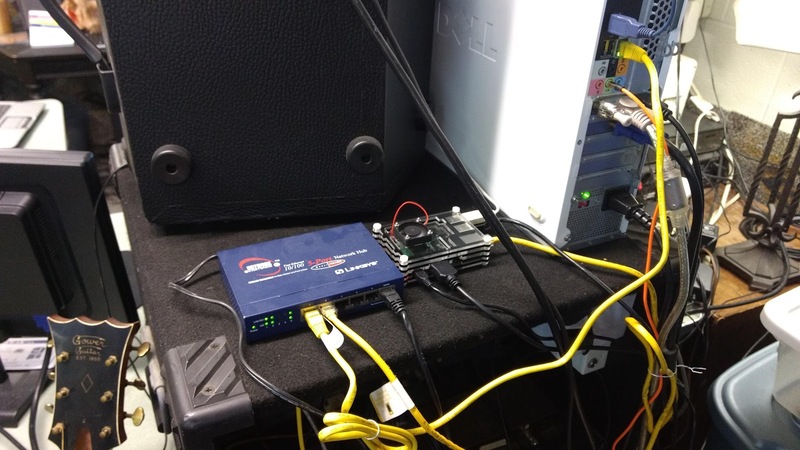 and Exile Player, has been replaced with a Raspberry Pi 3 B+ with Rapbian (Debian Linux) running Rivendell Radio Automation software (Pictured in the middle next to the router). So far, I am pleased... It may be small, and only has 1 gig of ram, no more needed, but it packs a punch. At present, it has a 64gig sd card for its hard drive, I may upgrade to a 256gig chip in the near future.